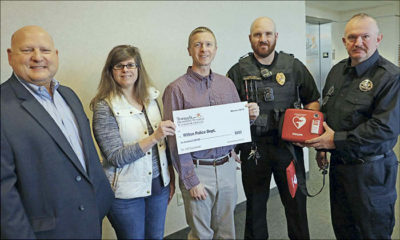 The first Wilton blood drive of 2018 will be Saturday, Feb. 10, at the Wilton Community Center from the usual hours of 7–11:30 a.m.
Last week, employees of Diamond Tower Service, a St. 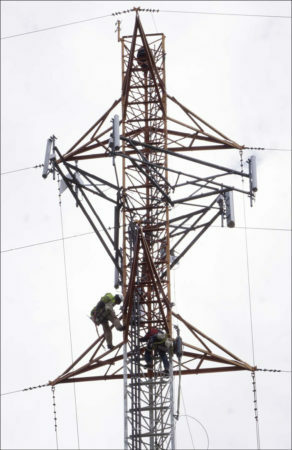 Cloud, Minn., company, worked atop a 200-foot tower located on County Highway V, behind the Town of Wellington shop, doing upgrades for T-Mobile, which leases space on the structure. 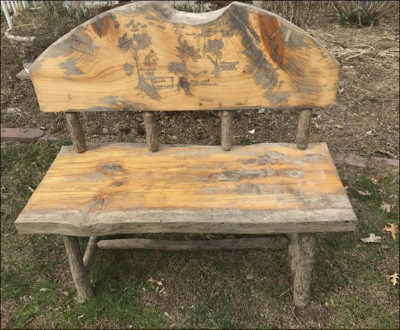 A bench from Ontario’s Palen Park took a trip down the Kickapoo River in the August 2018 flooding. The Monroe County Local History Room in Sparta and the Monroe County Historical Society will present “More Fires, Floods and Freaks of Nature: Examining Monroe County’s Past Disasters” at 7 p.m. Thursday, May 2, at the local history room. The Monroe County Historical Society (MCHS) invites you to become a member or volunteer this year. Sunday, April 14: Sunday, April 14: Three horses were loose near Old River Road in the town of Bergen.